Antec has been around for a very long time. They were one of the original “enthusiast” case manufacturers to start making unique cases. 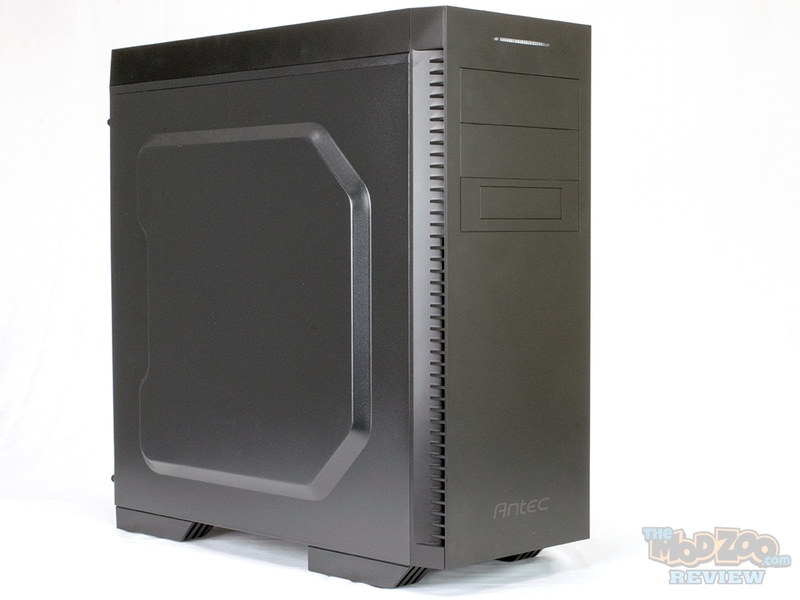 With the P70, however, Antec seems to have gone back to the basics. The affordably priced P70 is a relatively bare bones chassis by today’s standards, while still keeping quite a few little features around. You can have the case in any color you want, so long as it’s black, and no windows. Antec touts the P70 as being Builder-Friendly. While the price of the case has been kept quite low, Antec advertises the chassis as simple, stylish and loaded with features. The retail price of the P70 is $69.99 USD, but it can be found for $55 on Newegg at the time of review. Coming up next ….. Page 2: External Features. I’d mod that! Thank you for the review Mos!